I have a lot of admiration for writers of middle grade fiction and chapter books. As a writer of YA fiction I easily draw from memories from my own time as an adolescent and integrate these experiences into my work. It does help being a secondary teacher too. Unfortunately, I don’t recall so well what I liked to read as an 8 year old, or indeed what I was like at this time. So far as writing middle grade books, I wouldn’t know where to begin. It probably makes sense then, that I choose to review very few books of this genre and, when I do, I like to get the second opinion of my target audience. Such was the case last year when set about reviewing Jo-Kin Battles the IT. My initial reaction to the story was lukewarm (to say the least). It didn’t speak to me at all which, to my surprise, was not the case with my son. He loved it. Tyrrell had successfully managed to harness that mysterious thing that ten year old boys love. Such a thing, in my eyes is a massive achievement. This said; it seems that Tyrrell is on a roll, because she has done it again. Jo-Kin VS Lord Terra, follows on where book 2 left off. Our hero Josh Atkins, fresh from saving the world against the IT, is back to his life as a normal kid living with his parents and attending school. However, as Josh himself explains, the situation has him ‘lying low’. He is, moving through life incognito while hoping that his planet saving skills won’t be required again. However, this is not to be with Josh required immediately for an urgent mission to save the Junior Space Kids Team from the clutches of the evil Lord Terra. Jo-Kin VS Lord Terra, is a highly accessible read for students, especially boys, in the middle years of primary school. Following on from the first book, Tyrrell continues to develop themes of resilience, problem-solving, team work and overcoming self-doubt. 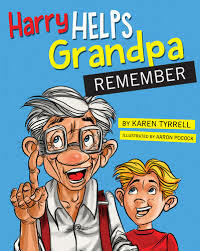 Tyrrell has not only constructed an appealing story for children of this age, but everything, from the language, font size, to the quality and quantity of the images, has been selected with care and an acute awareness of the intended audience. However, it is her understanding of the ‘obsessions’ of children in this age group, which left me wondering if Tyrrell is in fact a ten year old boy simple masquerading as an adult! I commend this book, and its predecessor, as a valuable addition to the school library. I anticipate that as the series continues to grow in number it may fulfil its potential and join the likes of Jennings and Andy Griffiths as ‘go-to’ staples for boys in the reading lesson. PS For resources and other cool stuff to support reading of this book click here. As teachers and librarians we can be a judgemental lot. During the process of selecting books for use in the classroom, or to sit on shelves in our libraries, we are sifters. By that I mean we sift through stacks of books in an effort to identify those which serve our own personal agenda. This inevitably means eliminating books for one reason or another. For instance, it may be that the language is too simple, the themes and ideas too one dimensional, the structure too formulaic. During this process we sometimes neglect a certain truth that what appeals to us, as adults, does not always concur with the interests of children. My ten year old son reminded me of the importance of this a few weeks ago. As often occurs in my household, a novel arrived on my doorstep. Usually, my son pays little attention to this (it is such a common occurrence). However on this day he was drawn to the book like a moth to a flame (I apologise for the weak analogy). “What’s this Mum?” He asked holding up the copy of Karen Tyrrell’s Jo-Kin Battles the IT, “Can I read it?” I must confess, at the time I was bogged down with other books to read, so I told him he could have it now as long as he promised to tell me what he thought of it. Off he scurried to his room, book in hand, where he wasn’t heard from for a few hours. “This is awesome Mum!” he told me later that night. “It’s a page turner. I’m already up to chapter 8.” I nodded my head, told him not to read too late, and stood quietly in the hallway while he continued his reading. What I heard was the beautiful sound of literary engagement. His laughter told me that not only was he enjoying the story, but clearly it was one with characters he could strongly identify with. Sadly, my reading of the same book was not nearly as enlivened. I found the story a little trite, and at times inane. 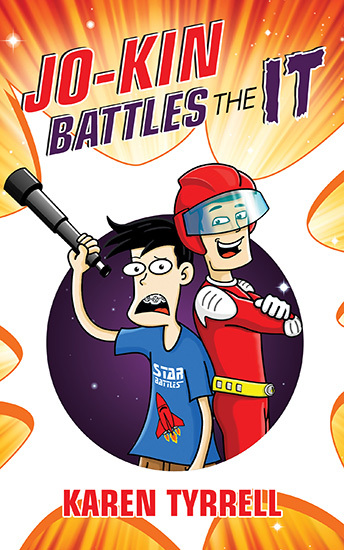 This middle grade chapter book tells the story of Josh Atkins and Sam Jones, who, after winning a computer contest, are selected for training as Super Space Kids. Following training, they are launched into space where they do battle with the deadly alien IT. While my adult brain did not really love the book, I could immediately see why the story resonated so strongly with my son. Michael, it seems could identify with Josh, who like himself, is obsessed with computer games, and quite frankly, all things best described as being ‘nerdy’. Having snared him with Josh (and let’s face it, corny gags), Tyrrell proceeds to tell a story that empowers children to overcome feelings of self-doubt, as they develop resilience, while understanding the value of team work. Jo-Kin Battles the IT is a cleanly edited story, typeset in a child-appealing manner, with a scattering of delightful illustrations by Trevor Salter. 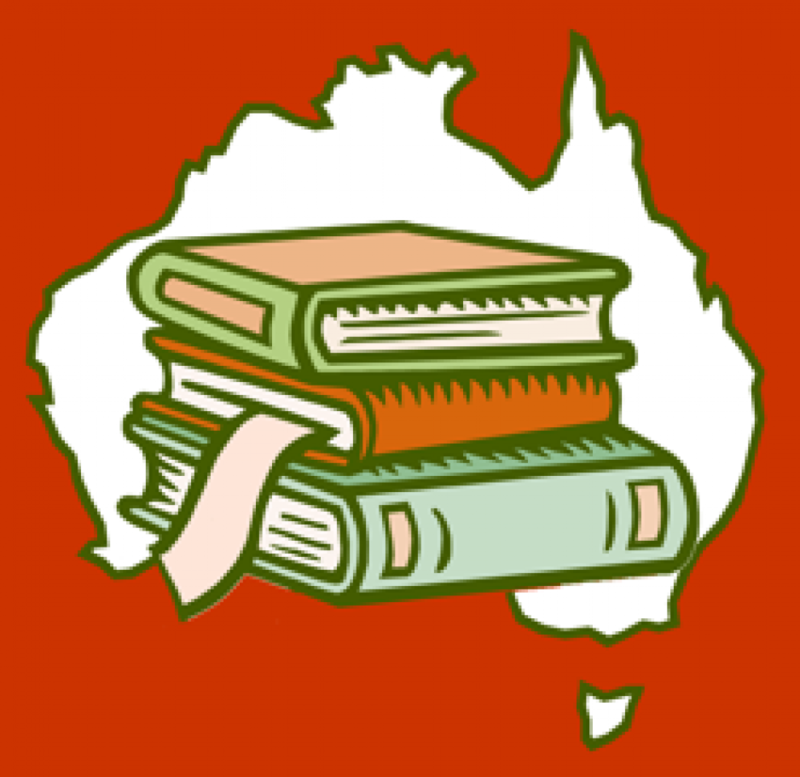 The story will be appreciated by younger primary students up to grade 4. The ease of language will deem it suitable for independent reading although the story would benefit from a shared class reading where the themes of resilience may be explored in greater depth. For teaching resources related to this title please click here.